“This is not a book. It is not a story, even. 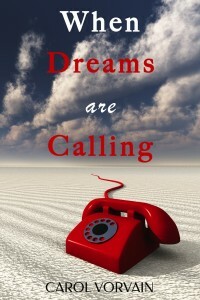 Reading When Dreams are Calling is an experience. When Dreams are Calling will charm you from the first page until the last. It is an easy read and will force you to contemplate your own journey, your own travels, your own personal growth and achievements. 2. Click the Create your own review button. 3. Rate the item and write your review. 1. Go to When Dreams are Calling.